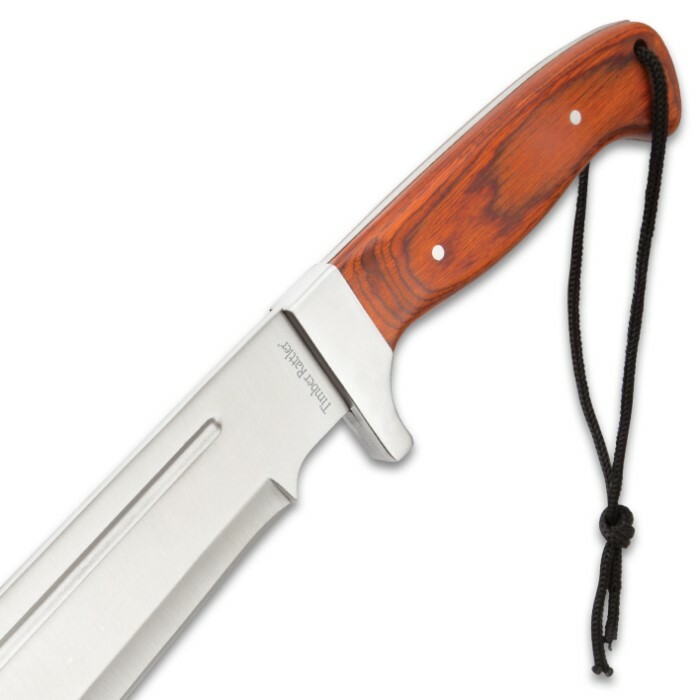 Timber Rattler Full-Tang Jungle Beast Machete - Stainless Steel Blade, Wooden Handle, Lanyard Cord - Length 25” | BUDK.com - Knives & Swords At The Lowest Prices! Looking for a real jungle beast to stalk the wild with you? 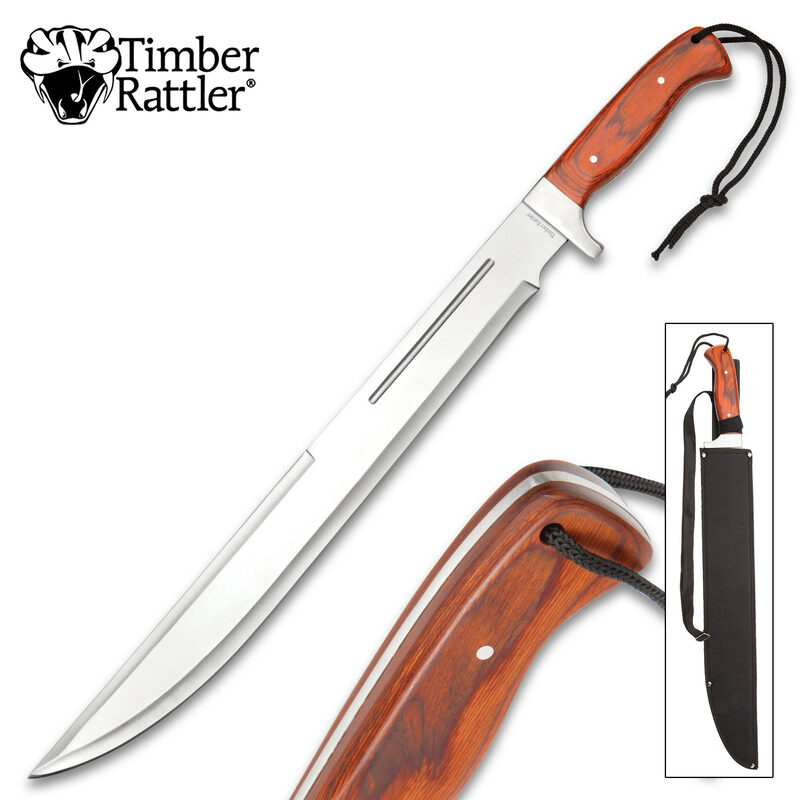 The Timber Rattler Full-Tang Jungle Beast Machete is an intimidating, no-questions-asked 25” in overall length and the impressive 18 3/4” stainless steel blade makes up almost all of that length! 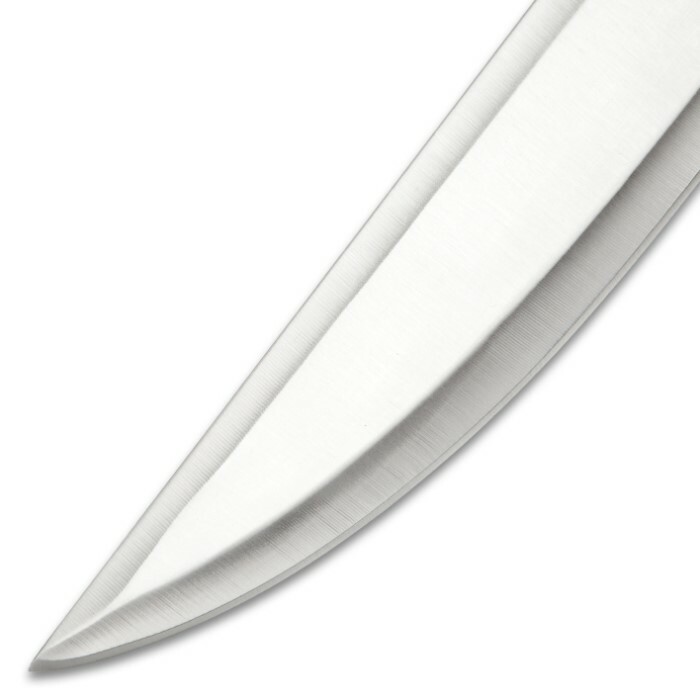 The full-tang blade has a satin finish and is extremely sharp and capable. 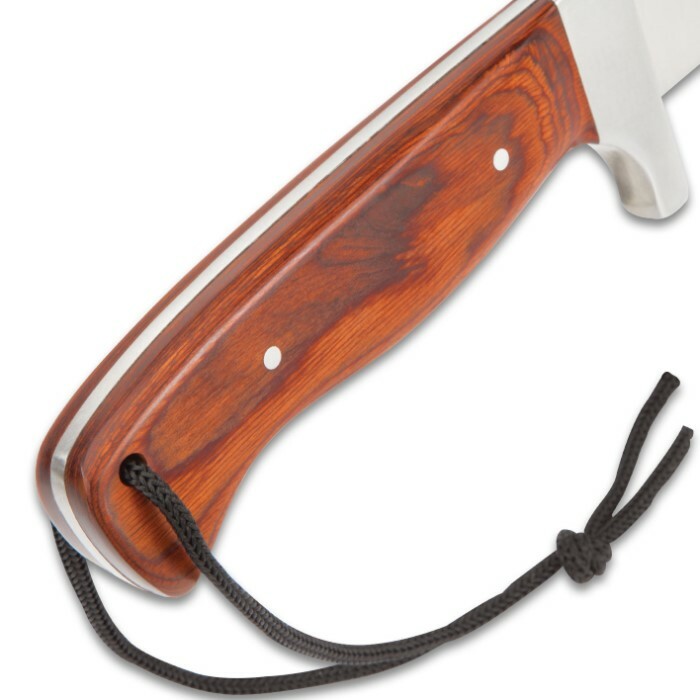 The handle has reddish brown wooden scales that are securely attached to the tang with sturdy stainless steel pins and features a lanyard cord. 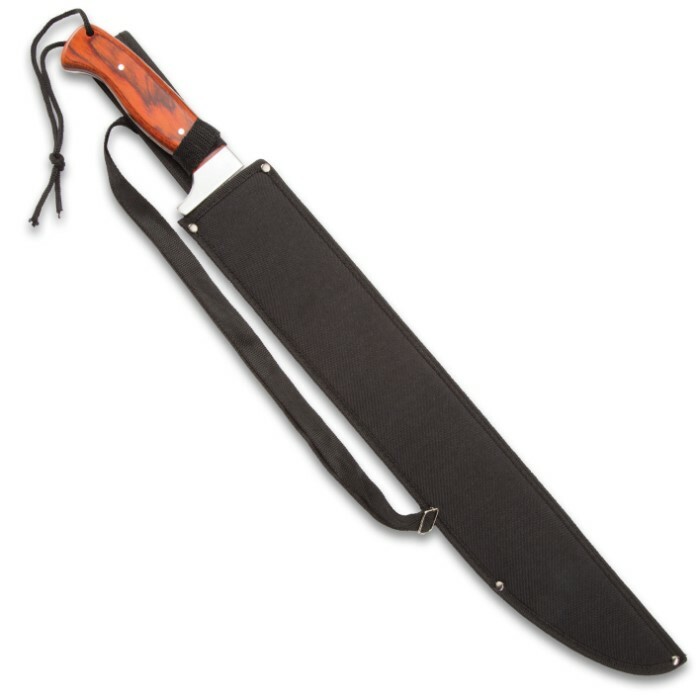 The blade slides into a tough nylon sheath that is a combination belt and shoulder harness sheath to give you different options of carry.